New Mexico has signaled that it will sue the federal government, along with the owners of two Colorado mines, for a massive spill of 3 million gallons of toxic metals into the Animas River. The spill contaminated rivers and agricultural lands in four states. New Mexico made its intent to sue known in papers filed on Thursday claiming the government had created “an imminent and substantial endangerment to the health of New Mexico’s citizens and the environment of the Animas and San Juan Rivers,” the Associated Press reported. 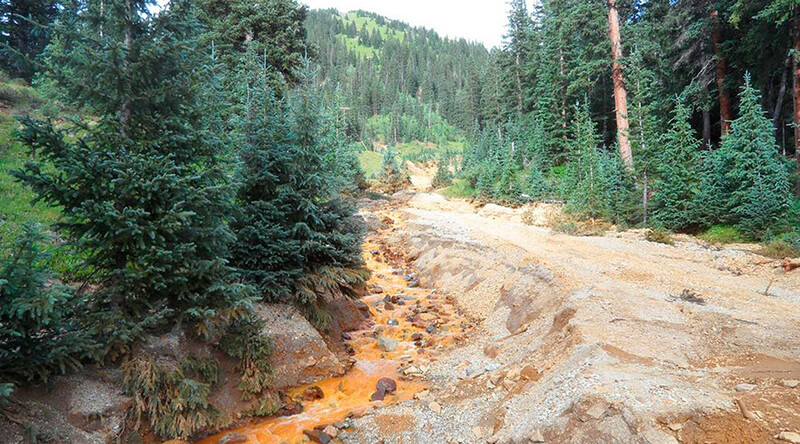 The notice targets the US Environmental Protection Agency and the Bureau of Land Management, as well as the Gold King and Sunnyside Mines, whose waste polluted the Animas and San Juan rivers on August 5, 2015. An EPA cleanup crew at the Gold King Mine, Colorado accidentally set loose 3 million gallons of toxic mine sludge and wastewater containing the heavy metals arsenic, lead, cadmium, copper, mercury and zinc. The accident contaminated rivers in Colorado, Utah and New Mexico, briefly shutting down drinking water supplies and raising alarms over the spill’s potential long-term effects on agriculture. Photographs taken in the aftermath of the spill showed a mustard-colored plume in the rivers. Specifically, the waste travelled through the Animas Valley, into New Mexico and the San Juan River, forcing farmers and municipalities to shut off water supplies at thousands of drinking water wells, including some as far as 100 miles away. Farmers and ranchers on the Navaho Nation were left without a water source for their crops and livestock for weeks. The EPA told the AP that it is reviewing New Mexico’s plans to sue. Although the EPA had claimed that the spill was “likely inevitable," the results of an investigation conducted by the Department of the Interior’s Bureau of Reclamation, which were released in October of 2015, found that the Environmental Protection Agency was solely to blame for the spill. Hasty operations by the EPA were the sole cause, the Interior report concluded. The Gold King Mine burst because the EPA had neglected to check its water levels before excavating the already weakened mine entrance. Though the EPA had acknowledged some risk of a blowout in June 2014, the dangers had been building for decades. Despite the fact that mining companies had redirected water flow through the mines, causing it to build up, Interior officials say the spill could have still been avoided if the EPA had done its due diligence.